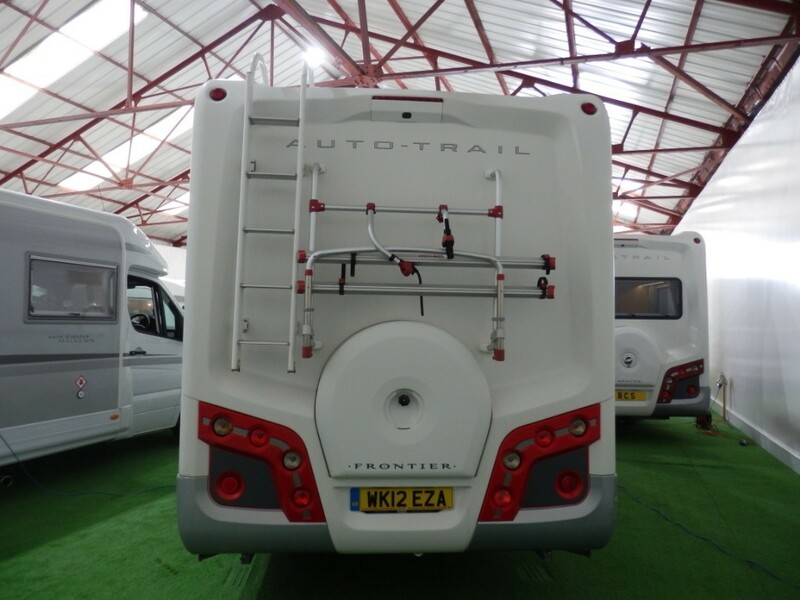 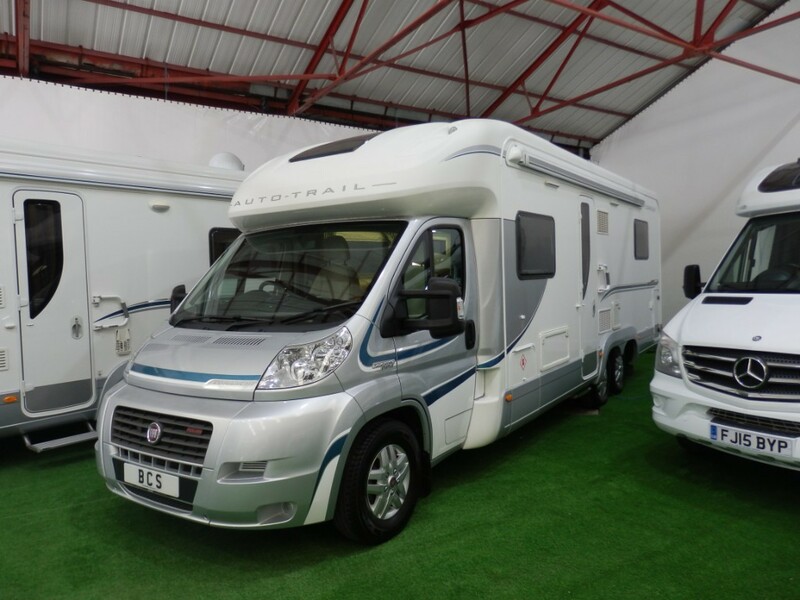 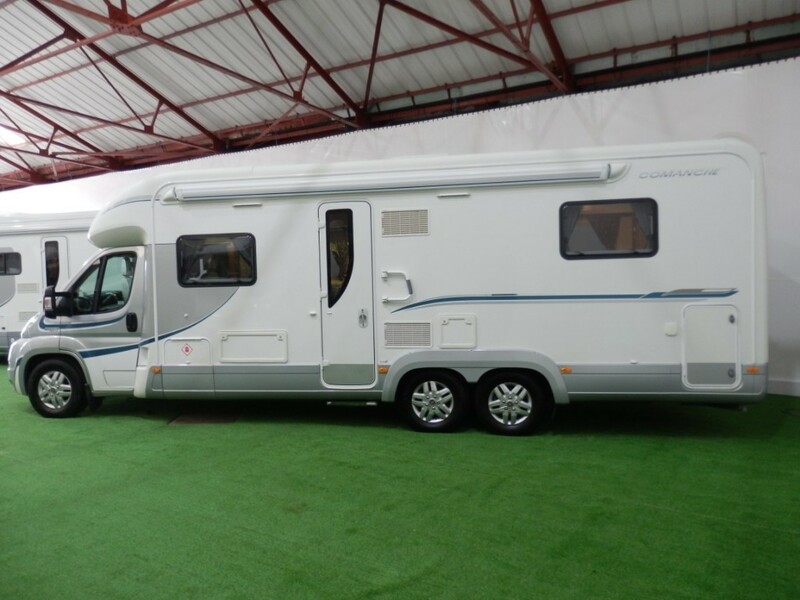 This 2012 Autotrail Commanche is automatic, has done only 15300 miles, has 6 service stamps and comes with a full major service, 12 months MOT and 3 months personal BCS warranty. 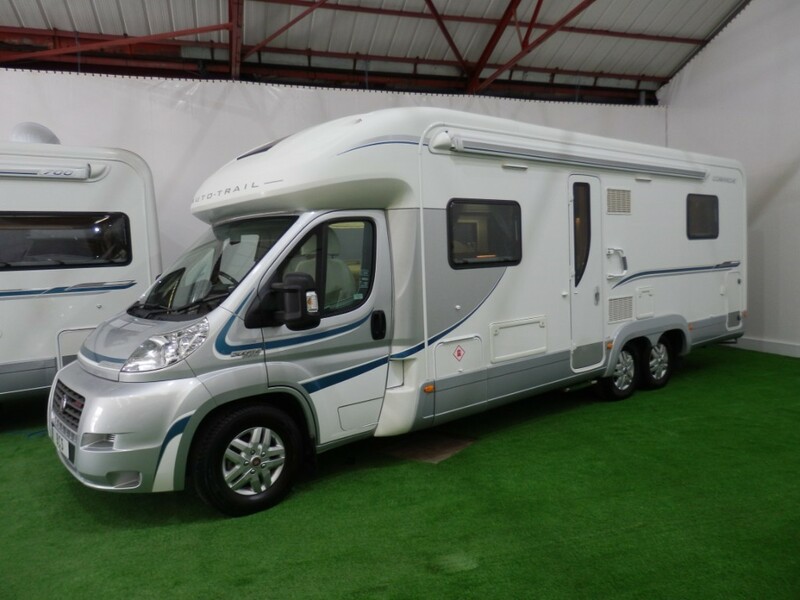 There is a tow bar already fitted, a cat 1 Sigma alarm and immobiliser, reverse camera, solar panel, external BBQ and shower point, status aerial, rear habitation speakers, and a garage. 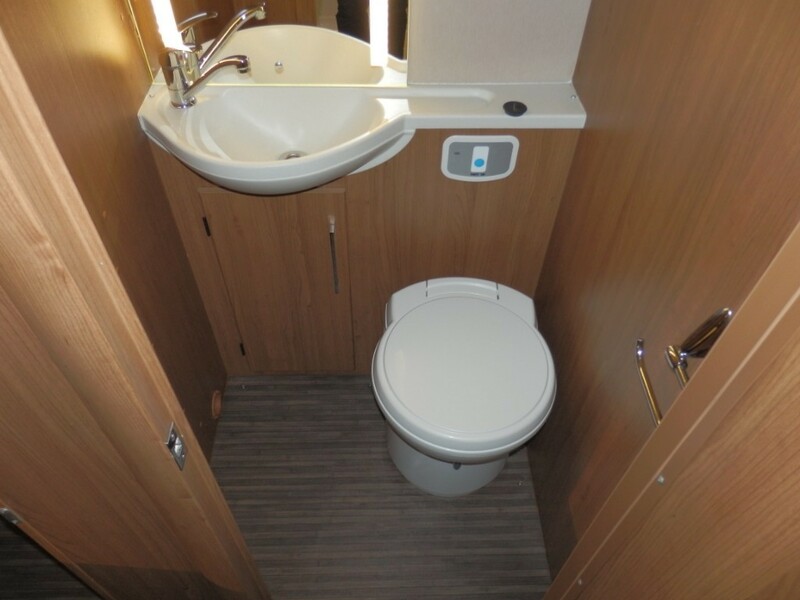 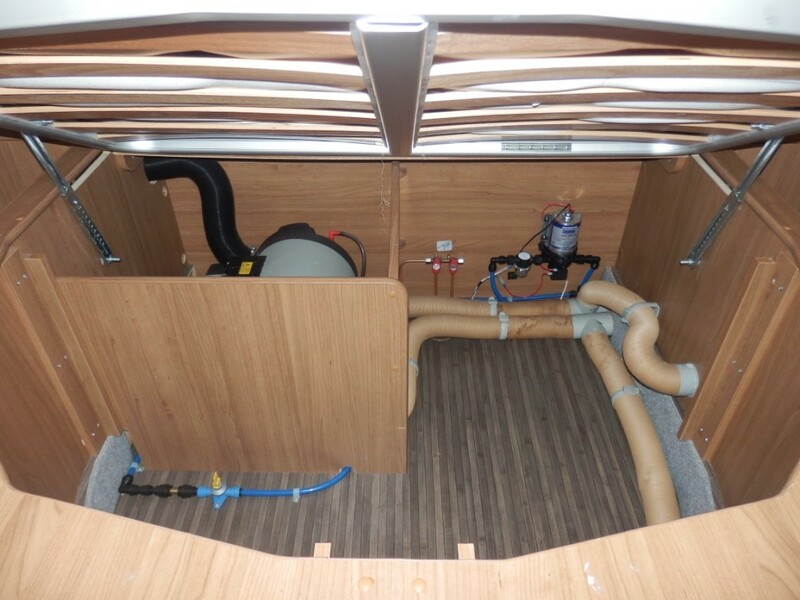 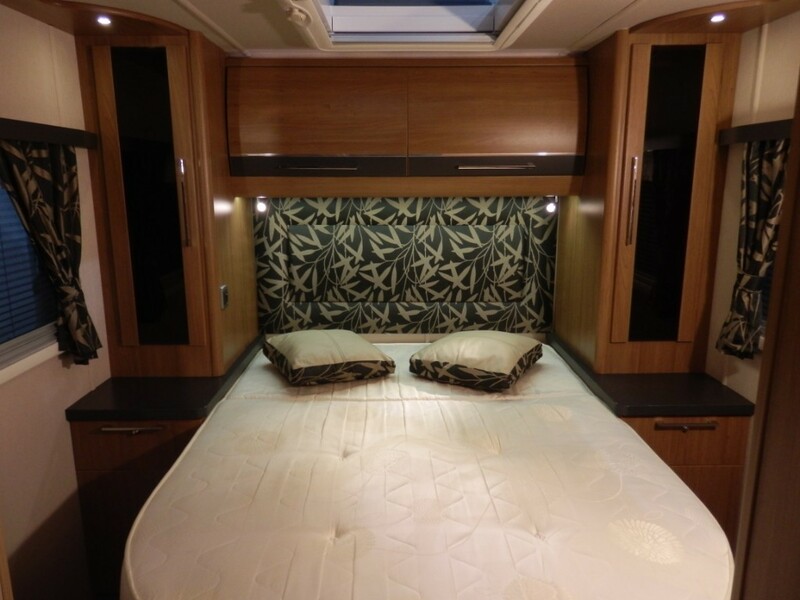 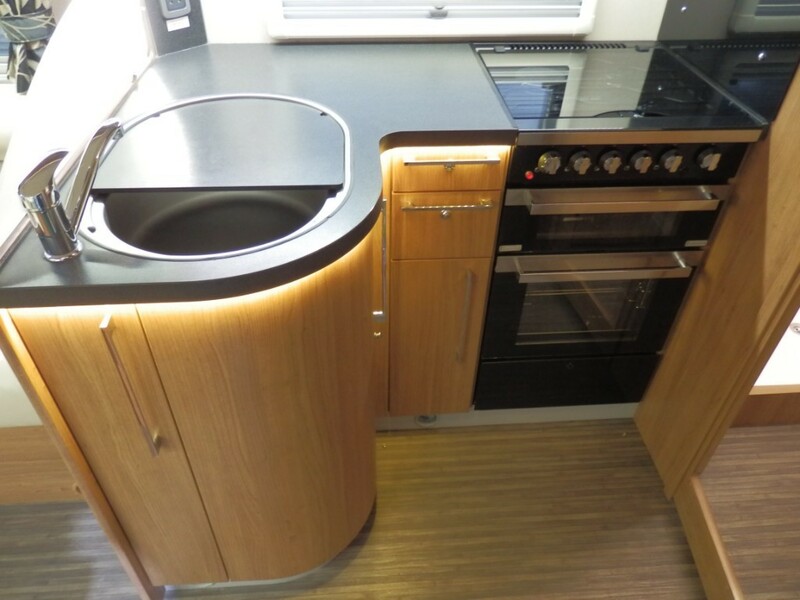 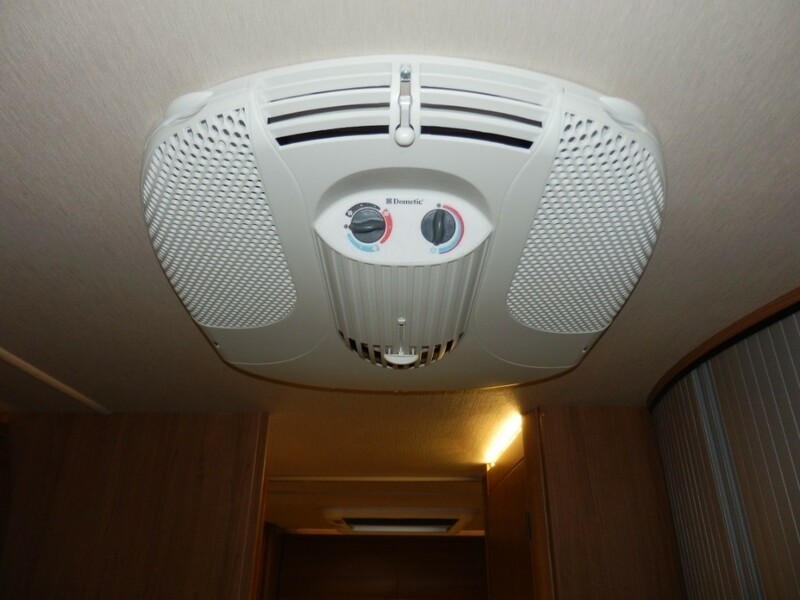 To the rear of the motorhome you have an island bed which has underneath storage space. 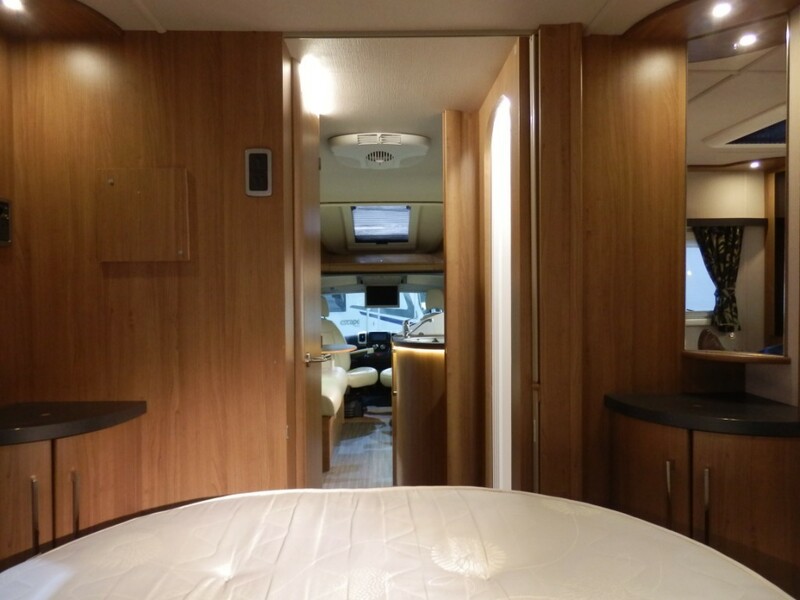 There are also his and hers wardrobes for further storage, a TV point, rooflight, and for privacy there is a bedroom door. 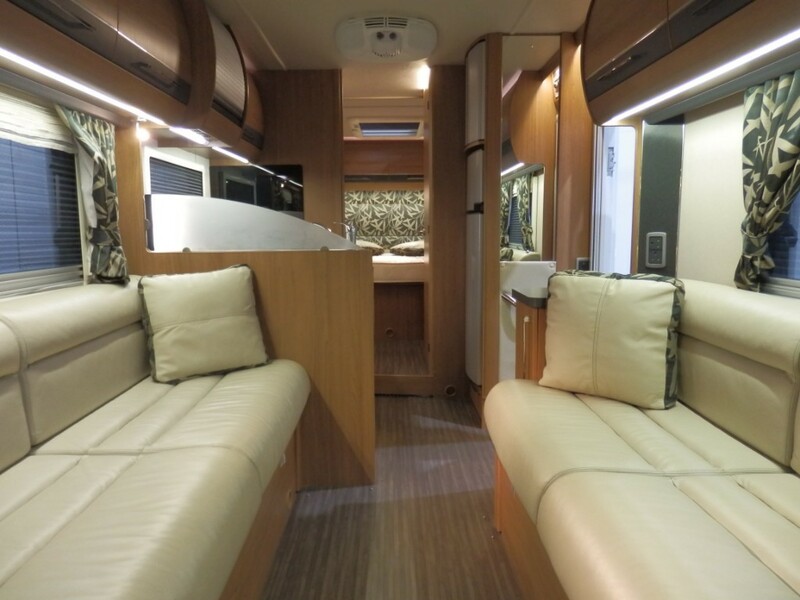 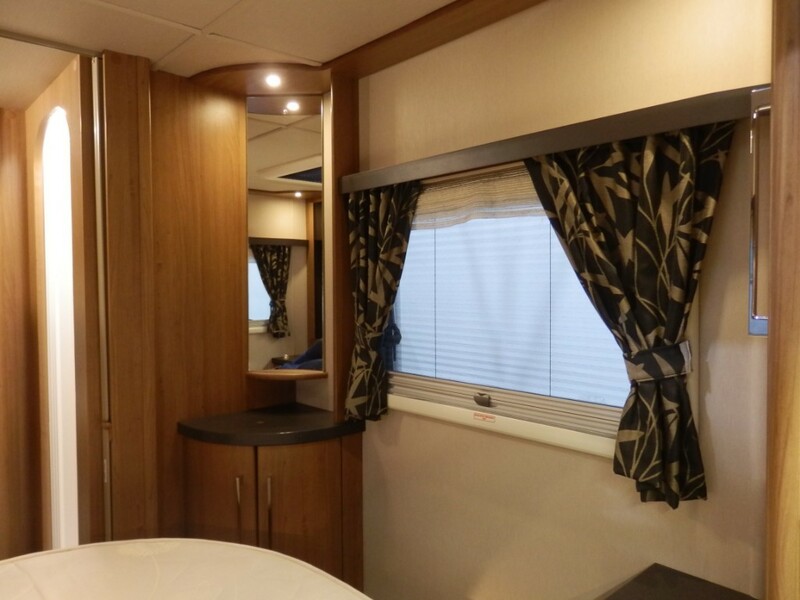 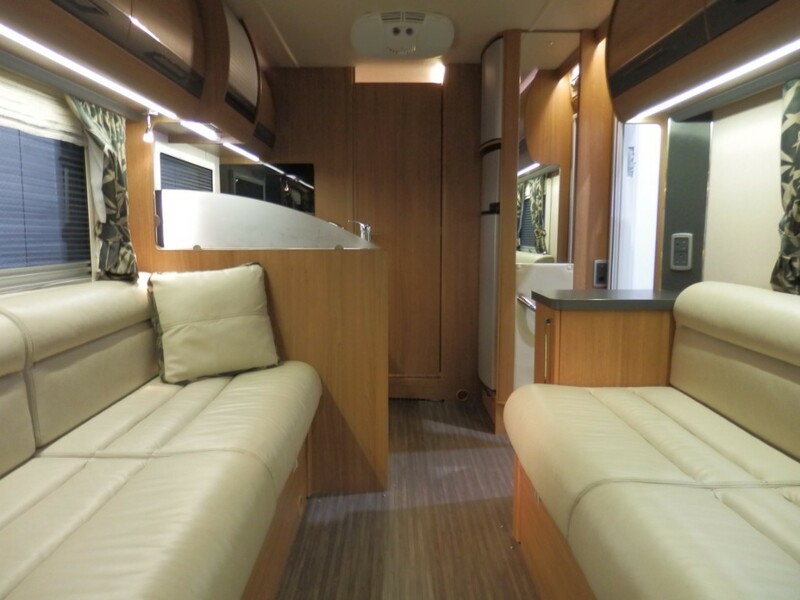 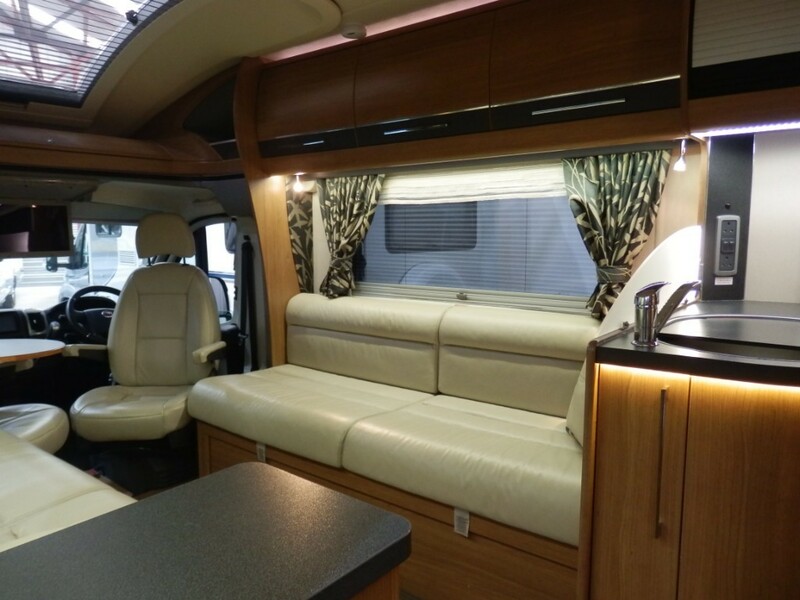 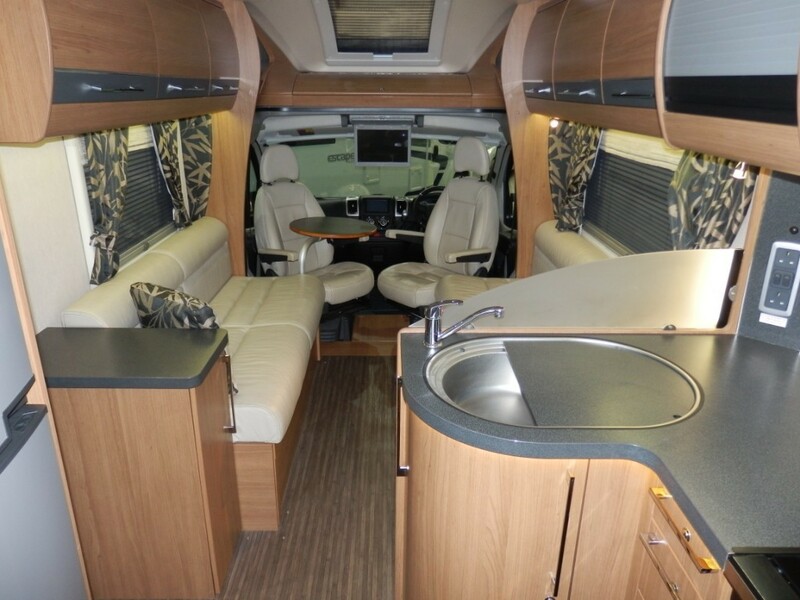 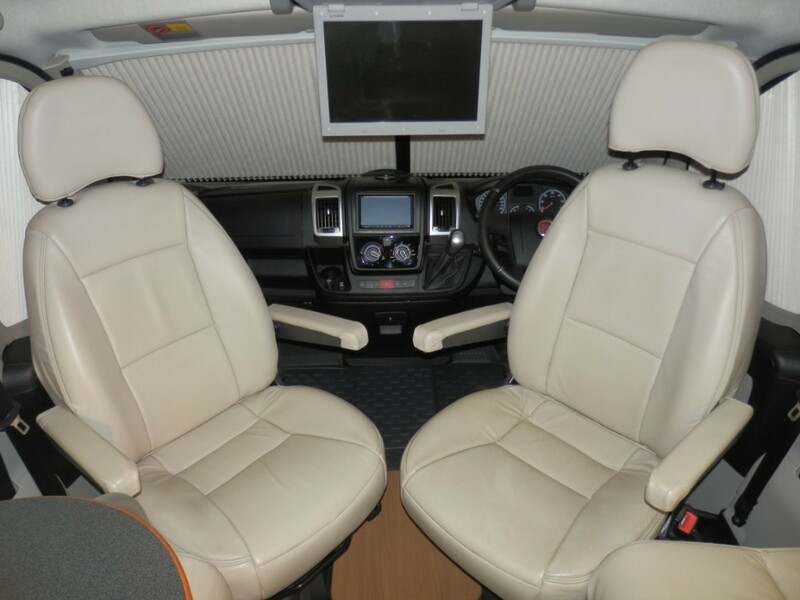 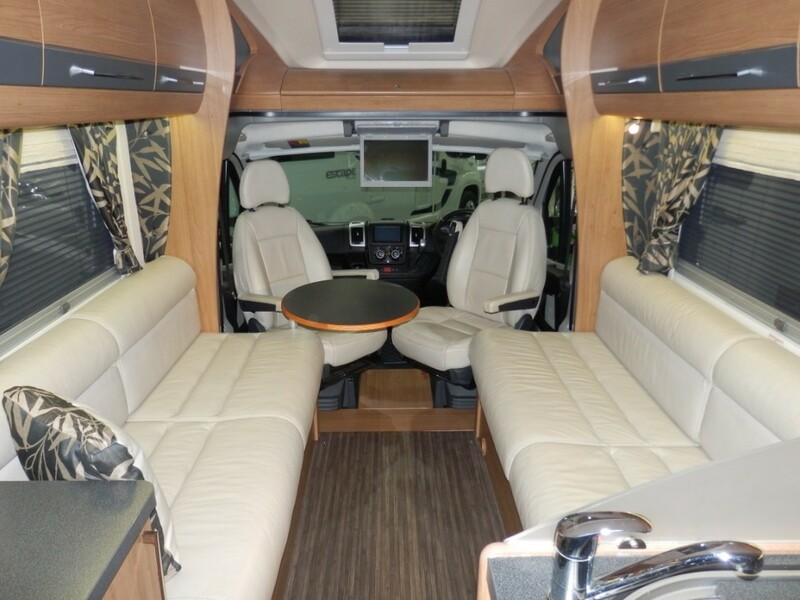 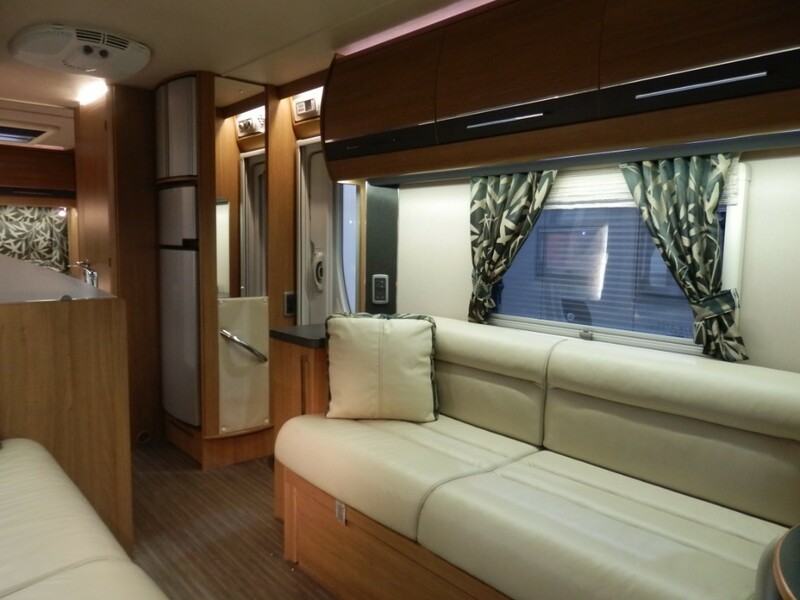 In the centre of the motorhome you have two large sofas trimmed in cream leather, both with underneath storage space. 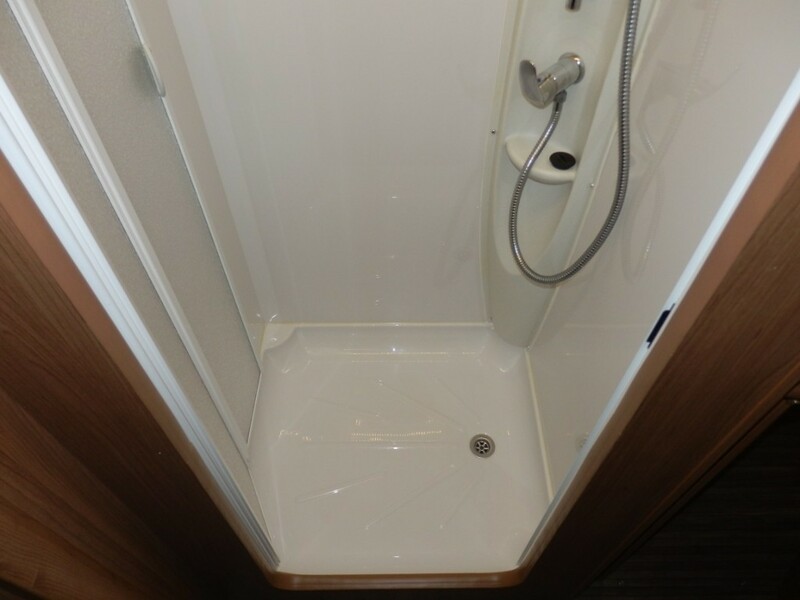 These combine to make a double bed.